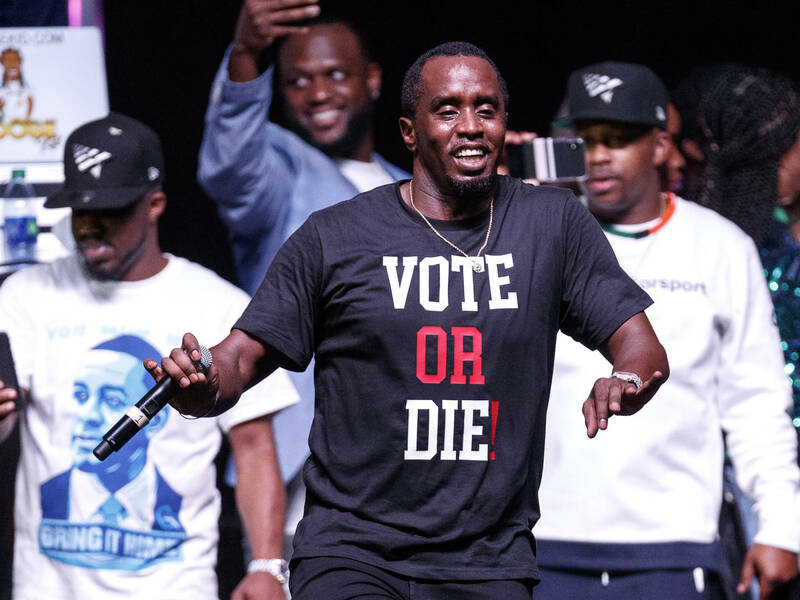 Home>Music> Diddy Is Calling For a Shift To Be Made In The Culture: "Enough Is Enough"
The death of Nipsey Hussle has sparked many dialogues throughout the hip hop community, and now that a week has passed since the 33-year-old rapper was mercilessly gunned down, Diddy has a message for the people. Over the weekend, the hip hop mogul took to social media to share a history lesson and criticism of the culture laced in with a motivational message for his people to think better, act better, and do better. "There’s NOBODY responsible for US except for US," Diddy wrote as the caption to his video. "It has to STOP now. NO MORE hurting and bringing down your fellow brothers and sisters. Tap into LOVE. Remind yourself we are KINGS and QUEENS and reprogram your mind everyday. WE’VE BEEN AT WAR WITH OURSELVES. It stops now. I’ll do my best to uplift, love and heal my people. But the responsibility lies with YOU! What are you going to do!?!?!? You must be responsible for yourself!!!!!" In the video clip, Diddy said that usually, he wakes up early in the morning with messages that he believes would be beneficial for the masses, but this is the first time he's taking the time to record himself. "Today I feel the need to like, kind of record this and basically say to my people enough is enough. I'm not coming from any moral authority. I'm just coming from a black king perspective. Black man perspective. Black person perspective. Enough is enough. We have acquired too much knowledge to be in the situations that we're in. We're in the situations that we're in because we let ourselves be in the situations that we're in." "First of all, none of are alone," he continued. "We came as a tribe. We are a tribe. We're killing each other. We hate on each other. We give negative thoughts on each other. We don't know how to support each other. We don't care or understand the importance of economics. We don't share enough. We don't give enough...everything I'm saying, I'm saying about me also. We can all do a better job, but enough is enough." He also said he's been studying a lot of Civil Rights documentaries while trying to figuring out how we've gotten to this place. "Killing somebody, us hurting...us not treating our women like they're queens...it's really sad that the special beings that we are, we haven't tapped into love and we haven't put a stop to this. I'mma do my best to put a stop to this. I'mma do my best to uplift my people, to love my people, to help heal my people, to do whatever I can. But I'm only responsible for me. I can only be responsible for me. You can only be responsible for you, and I'm just asking as a people to come together with that level of responsibility." MUSIC Diddy Is Calling For a Shift To Be Made In The Culture: "Enough Is Enough"